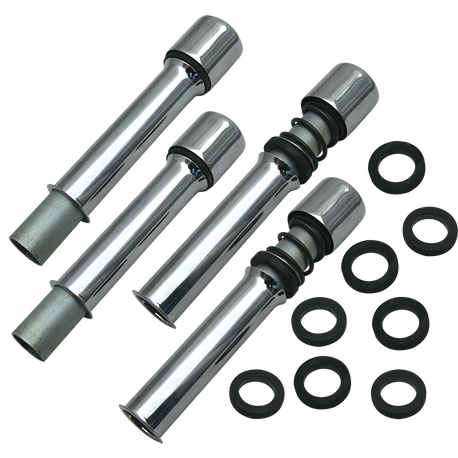 Fits: stock 1936-'47 HD® over head valve big twin models and S&S® knucklehead series engines.S&S® pushrod cover kits include all of the parts required for four pushrods, except keepers. Keepers are not included because of the different length requirements of some engines, but are available separately. Sold in kits of four assemblies; enough for one engine. Natural finish. Keepers and o-ring kits are available but must be purchased separately.